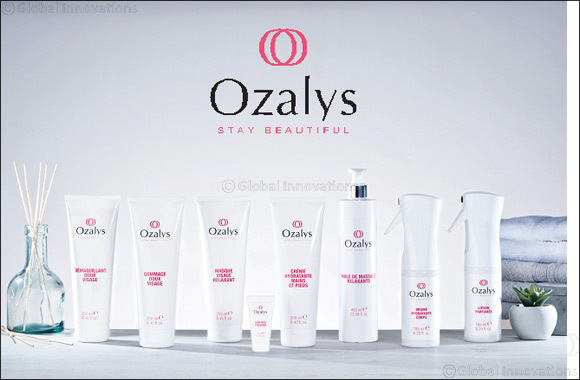 Dubai, UAE, March 24, 2019: Ozalys continues to innovate by launching the first professional range dedicated to the after cancer sector; a spa range associated with beauty treatments: 8 products and 6 treatments (face, body, hands & feet, scalp). Safe for women seeking well-being and self-esteem after the illness. or unsuitable substances without compromising performance and pleasure of use. But Ozalys also ensures the day-to-day safety of beauticians in their salons. Indeed, Ozalys is the first brand in France to evaluate the toxicity and guarantee the tolerance of its products for professionals to ensure professional exposure with total peace of mind: a choice of ingredients that are gentle on the skin, taking into consideration the need for repeated daily care and calculations of exposure to each product. Creating positive emotions through pleasing textures, a subtle and comforting olfactory signature, caring and unique gestures, provided by experts who are filled with humanity, who awaken the senses and the pleasure of taking care of oneself...this is Ozalys' mission. Ozalys fights for a different beauty, a strong beauty, a free beauty.